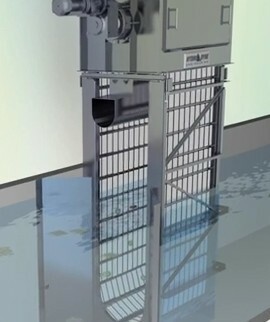 Screens | JCI Industries Inc.
Great White Center Flow Screen is an efficient mechanical band screen on the market to filter water and wastewater from .5 to 25mm round diameter, square mesh or slotted openings. 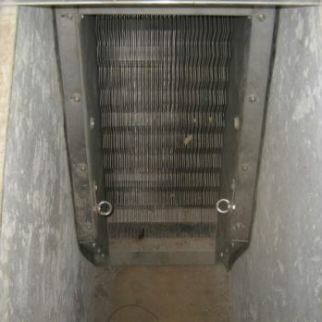 Very low headlosses and all stainless steel and UHMWPE grids make these center entrance, side discharge screens suitable for a number of applications, including protection of membranes. Bull Shark Through Flow Screen with a variety of grid types, opening sizes and models available, the Bull Shark Through Flow Screen is ideal in a wide range of environments. Low Flow, Standard, Heavy Duty, Super Duty and Front Discharge models are available. Through flow design and large solid removal are trademarks of this versatile screen. All stainless steel construction and UHMWPE wear surfaces provide years of trouble–free operation. 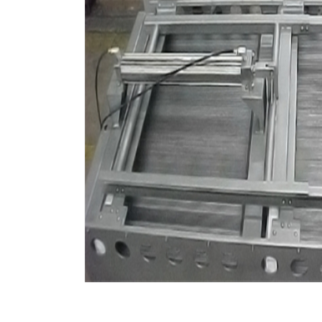 The extremely strong stainless steel grid reduces headlosses to well below industry standards. Tiger Shark Multi-Rake Screen with its iconic heavy duty stainless steel bar rakes, the Tiger Shark Multi-Rake Screen efficiently captures a wide variety of debris and is ideal for large particle removal. The Tiger Shark screen’s practical design combines reliability with efficient operation. The low friction UHMWPE guide links reduce wear and operational costs. The Tiger Shark is designed for large particle removal. Multiple rakes continuously clean the bar rack with grid openings from 5-300mm. Hammerhead Onsite Screen Sizing (HOSS) Enables treatment plants to better understand the unique characteristics of their wastewater flow and provides site-specific intelligence to design the most efficient and effective headworks structures. Prior to a screenings project, contact JCI to perform a onsite screen sizing pilot to determine solids loading and screening sizing to maximize screening capture. 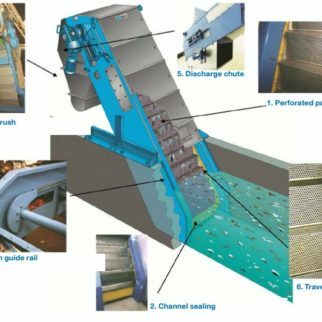 Optimizing screen design provides benefits throughout the treatment plant resulting in reduced loadings to downstream processes, removing rags and troublesome debris resulting in lower maintenance costs and higher equipment reliability. Kusters Water ProTechtor™ Perforated Filter Plate Screen (WasteTech) is known for its reliable operation and robust design. 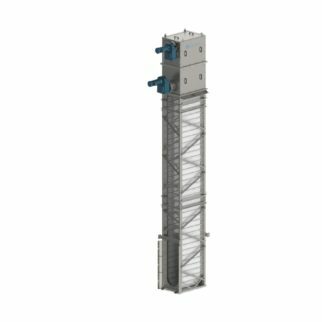 Capture efficiencies of the filter screen are much higher than conventional bar style screens and eliminates operational disruptions caused by fibrous and other inorganic material. All ProTechtor™ products carry a 3 year standard warranty and are US Manufactured at Kusters Water’s ISO 9001:2008 certified facility. 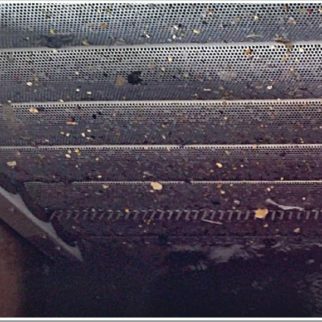 Wastewater flows through perforated filter elements while contaminants are captured on the face of the element. Larger objects, such as sticks, rocks, bottles, etc, are picked up from the bottom of the channel by the lifting tines at the bottom of every fifth element. The filter panels form a continuous screen field which transports the screenings to the discharge point where they are cleaned from the panels by a rotating brush and high-pressure spray wash system. The screenings are then discharged into a dumpster, conveyor, or screenings washer compactor. Andritz AquaScreen - Perforated plate screen can be easily installed and retrofitted in all types of channels. The interlocking filter stepped panels are perforated with 6 mm diameter holes (other sizes available) and fabricated in either 2 mm or 3 mm thick Stainless Steel. The screen does not have submerged bearings and has high capture rate of solids. 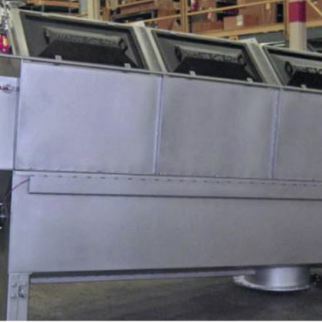 Kusters Water ProTechtor™ Centerflow Band Screen (WasteTech) - with its vertical orientation, is an excellent alternative to applications with limited footprint and headspace. Influent flow enters the screen in the middle of the screen frame, and is positively screened as the flow transitions from the inside and passes through the traveling perforated plates. Optimally spaced lifting tines are attached to filter panels to capture and elevate larger items to the internal discharge point. Screenings are washed off via spray headers and/or a combined motorized brush assembly, and are discharged to an internal flume or screenings washer compactor, which transports the screenings outside of the screen frame. The quality of the screened effluent is drastically improved which in turn improves performance and better protects downstream equipment. 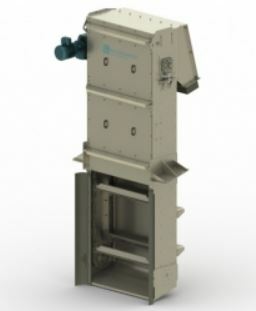 Kusters Water (WasteTech) ProTechtor™ Multi- Rake Bar Screens combines fine or coarse screening with high solids capture rates, robust construction, long life, and low O&M costs all in one screen. This combination ensures operation when you need it most. Unlike traditional bar screens, which have one cleaning rake that typically takes up to two minutes to engage and clean the bar rack, the Multi-Rake Bar Screen includes multiple rakes typically spaced on 5ft centers that clean the bar rack every five seconds at the highest speed setting. This increased cleaning frequency is advantageous, particularly under higher flow conditions. One distinct feature of the ProTechtor™ Multi-Rake Bar Screen is the individual “bolt-in” replaceable bars. If there is damage to the bar rack, each individual bar can be quickly and easily replaced with simple hand tools.